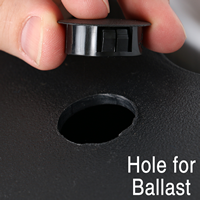 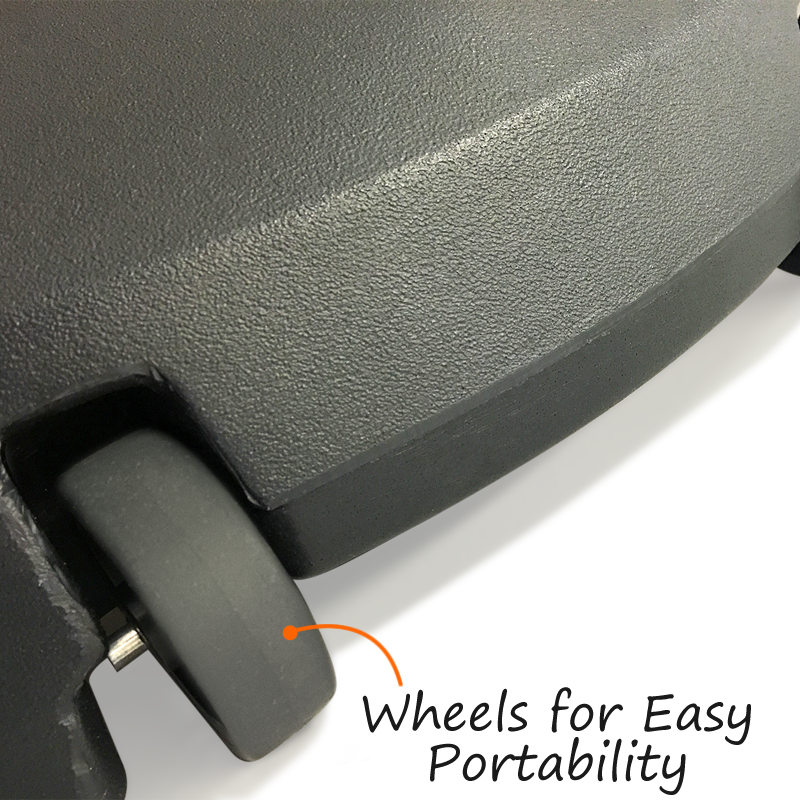 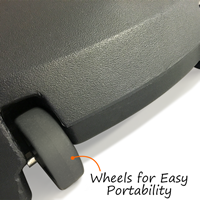 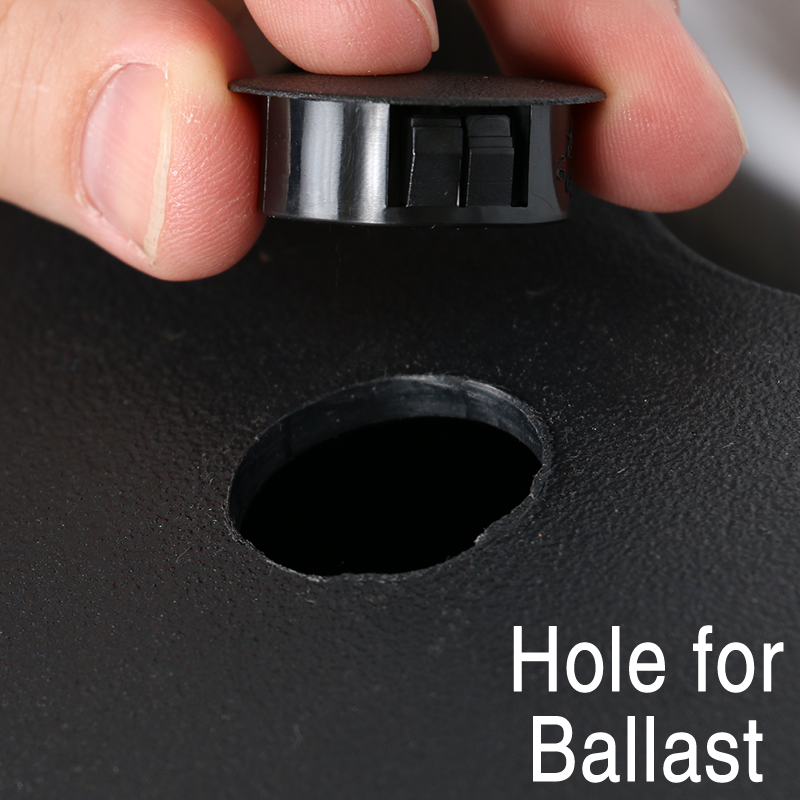 Contents Includes 1 sign holder comprised 1- 24" diameter rolling sign base with ballast ports, 2 security clips, and 3 non-slip feet. 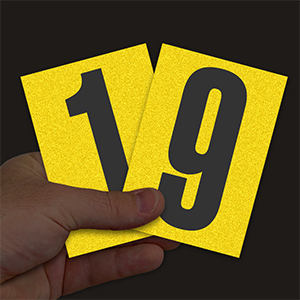 The DELUXE version comes with 1 two-sided 24" x 36" x 0.5" (600 x 900 x 10mm) black sign face with 7 letter tracks on both sides, one set of 314 - 4" letters, numbers and symbols (white letters & red/white numbers), two - 9" double-sided headers (Sale/Special in red/white), and one set of 22 - jumbo 8" numbers with the percent symbol (red/white). 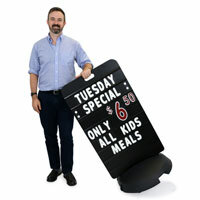 Simply roll this Delux Sidewalk Sign into place to annouce a big sale at your store front. 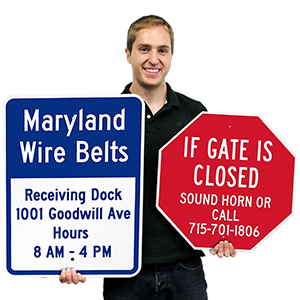 Signs come with changeable letters to personalize your own message. 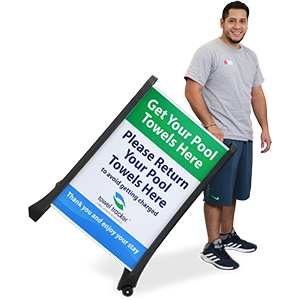 • Sign face has letter tracks on both sides to display up to seven lines of copy.